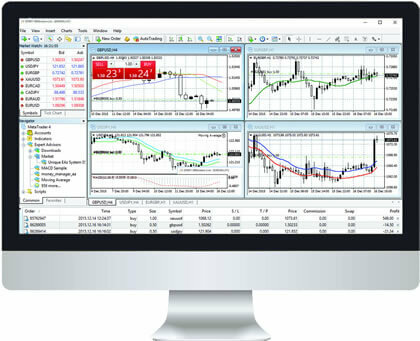 Gain access to our MT4 Booster Pack. You’ll wonder how you ever traded without it! A selection of #12 MT4 platform tools. Read the Terms. Trading Forex and CFDs is Risky. Introducing the GBE brokers MT4 Booster Pack! Be the First to get your hands on our new MT4 enhancement bundle which provides you with a series of trading tools that have been created to boost your trading experience. Get the entire MT4 Booster Pack today by registering for a Live GBE Brokers Trading Account and depositing a minimum of 2,000 EUR/USD/CHF into it. If you’ve already got a GBE brokers Live Trading Account, simply make sure you have at least $2,000 in you account, and contact your dedicated GBE brokers Account Manager, who will send you over the MT4 Booster Pack along with all the user guides and help videos. We’ve only created a few user licenses for our MT4 Booster Pack, and we’re offering these licenses on the first-come, first-served basis. 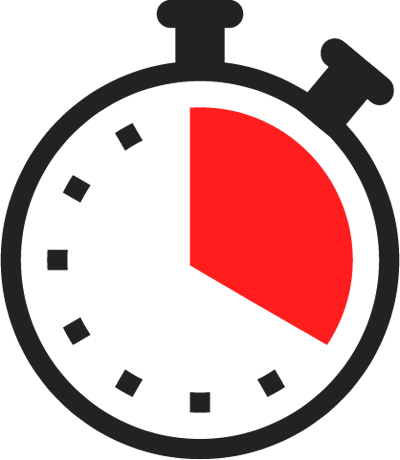 The clock is ticking on you getting your state of the art series of trading tools that are designed to take you to the next level! The GBE brokers MT4 Booster Pack is action-packed with features that are geared to giving you the best possible trading experience. Check out just some of the awesome features that are available! Imagine if you had a dedicated trading assistant that could alert you to events that were happening in real-time in the markets, or events on your GBE brokers account, and that could also carry out automated actions. Wouldn’t you love something like that? The new GBE brokers Alarm Manager does all of this for you and more! Our Correlation Trader has been designed from the ground up to help you better understand the relationship between two sets of prices so that you can make better informed trading decisions. It does this by identifying and matching markets that have either a strong or weak correlation. Setting it up is a breeze too! Just like the GBE brokers Correlation Trader, our new Correlation Matrix has been developed so that you can easily identify markets with strong or weak correlation. This gives you peace of mind when it comes to assessing the risks of trading one market or another. This neat tool goes hand in hand with the Correlation Trader. Our Excel Real-Time Data (RTD), allows you to take data directly out of your GBE brokers MT4 platform and port it into Excel. Quite a few of our traders use the Excel RTD tool to analyse trading date, and the real beauty is that you don’t need to be a whizz or expert on Excel to use it. All you need is a licensed version of Microsoft Excel. The GBE brokers Market Manager give you a super simple overview of the market symbols and any related open and pending orders you have. You can also take trading actions quickly, as well as gain more important information on individual markets easily. The GBE brokers Market Manager is a must-have tool for serious traders! When it comes to fast trade execution and position analysis, there is no better trading tool than the GBE brokers Trade Terminal. It’s absolutely action-packed with an array of feature-rich professional trade execution and analysis tools. 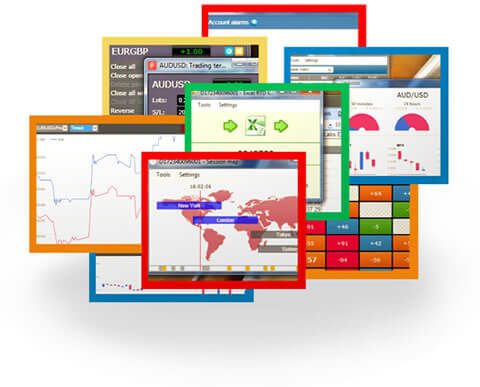 One of the popular features of this tool is the advanced take profit and stop loss feature. The GBE brokers Sentiment Trader is based on real trades and displays information about current and historical long/ short sentiment in the market. It’s been designed to give you an up to the minute snapshot of what real money traders are doing at any given time. This information is invaluable at making better trading decisions. The GBE brokers Session Map has been created so that it can give you a super convenient and quick overview about what has happened in the different world markets. It also gives you the status of your trading account, as well as key press announcements, leaving you free to focus on what matters – trading! The old saying ‘Time is money’ definitely applies when it comes to our new Tick Chart Trader as it’s been designed to allow you to trade really quickly. In fact, it’s got OCT (One-Click Trading) functionality built in, giving you the opportunity place short-term trades at peaks or drops in the tick chart. It’s an awesome tool for scalpers! 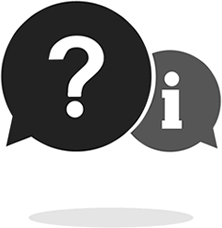 We’ve added a series of questions that our traders have already asked us with regards to our MT4 Booster Pack. We’ve also added the answers that we sent our traders. If you’ve got a question about the Pack, we’re pretty sure you’ll find the answer below. How can i get the MT4 Booster Pack? Simply get a GBE brokers Live Trading account and add a minimum of 2,000 EUR/USD/CHF to it. If you've already got an account, contact your Account Manager. Do you provide an installation guide? Absolutely! The GBE brokers MT4 Booster Pack comes fully loaded with super easy to follow user guides and video help files. Contact your Account Manager for more info. What language is the MT4 Booster Pack in? We've translated the MT4 Booster Pack into these languages: English, Arabic, Bulgarian, Mandarin, Czech, Estonian, French, German, Hungarian, Indonesian, Japanese, Korean, Latvian, Lithuanian, Polish, Romanian, Russian, Spanish, Turkish & Vietnamese. How many features come in the MT4 Booster Pack? We've added 13 awesome MT4 feature apps within the GBE brokers MT4 Booster Pack that are geared to giving you the best possible trading experience! What language are the user guides in? At the moment, we’ve created the user guides in English. We’re working on adding user guides in German & Arabic. Why do you only offer the pack to traders with $2,000 and more in their account? It’s only right to look after our active traders. If you’re an active trader, and have a minimum of $2,000 in your GBE brokers trading account, you’re eligible to get the pack. This also encourages traders that haven't traded with us in a while, to trade again. Check out what our traders are saying about the GBE brokers MT4 Booster Pack! Very good trading tools. They have helped me a lot, especially the Alarm Manager and the Trade Terminal. Well done to GBE for putting this together. A truly fantastic set of trading tools. I can't thank GBE brokers enough for allowing me to be a part of the MT4 Booster Pack focus group. We've now been using these trading tools for overt a month and I can't get enough of them. Outstanding tools for any trader! The best trading tools I have used. I am an experienced trader here in South Africa and have used many MT4 tools in the past, but nothing comes near the ease of use and flexibility of the GBE brokers MT4 Booster Pack. True masterpiece!